Through this journey we will pass through Lhagang and Lithang are very traditional village and town with very important pilgrimage site. Lithang grasslands is the highest grasslands in eastern Tibet Plateau and Lithang is famous for it’s colorful horse festival. Yarchen Gar is the second largest monasteries in Tibet and home to over 10,000 nuns and monks. There is world’s great rivers, Mekong and Yangtse Rivers, the longest river in Asia. Derge town is one of the three ancient centers of Tibetan culture also famous for its three storey printing house which is built in 1729. Fixed Departure Times: June 16th 2018 / September 28th 2018 +/- 4 days (we can offer a flexible departure time). US$ 1,496 per person for a group of 4 people. US$ 1,370 per person for a group of 5 people. All accommodation (based on double occupancy) (Accommodation list; Kangding Zhelam guesthouse, Litang peace hotel, Ganzi Yongkang hotel, Pelyul Dazang hotel, Dzongsar Mashu guesthouse, Dege Yingjingyuan hotel, Dzogchen monastery guesthouse, Lhagang Angela hostel and Danba Zhonglu Dongpo guesthouse. Due to the high Tibet plateau around 3300 meters to 4800 meters mostly, and we will pass by some mountain pass around 5050 meters, so strong health condition is required. If your health is not so good, you should check with a doctor before taking the decision of coming to Kham Tibet. 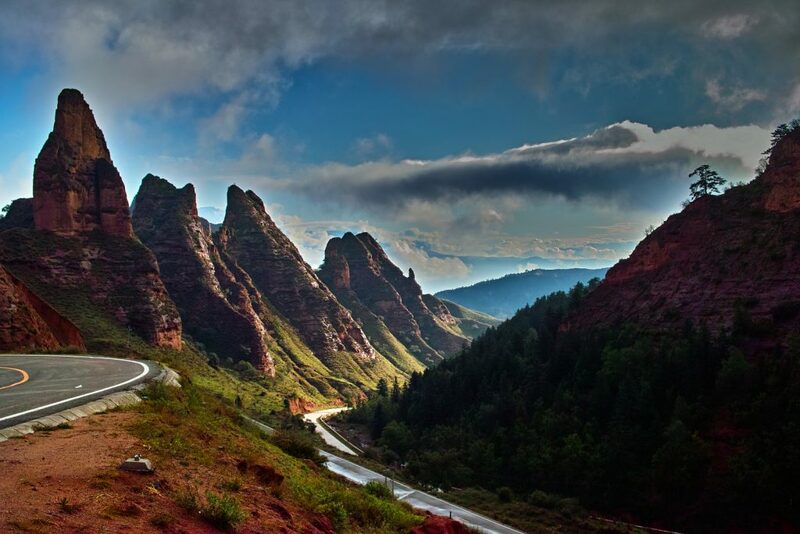 Today we’ll drive to Lithang, the route takes us through the forest expanses of Tibet’s “wild west” to Lithang. Lithang, which is the world’s highest town on the high plateau in Kham region and home 2 incarnations of Dalai Lamas’ lineage. Once there we will rest to get acclimatized to the high altitude. 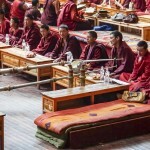 We’ll visit the Lithang Monastery and see the traditional Tibetan villages around the town. 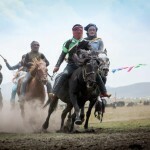 The Lithang Horse Festival is widely known in Tibet and attracts thousands of foreign travelers from oversea. During the horse festival all the Kham people dress very traditionally and colorfully. Usually the horse festival is held in the first part of August. Spend the night at Lithang. 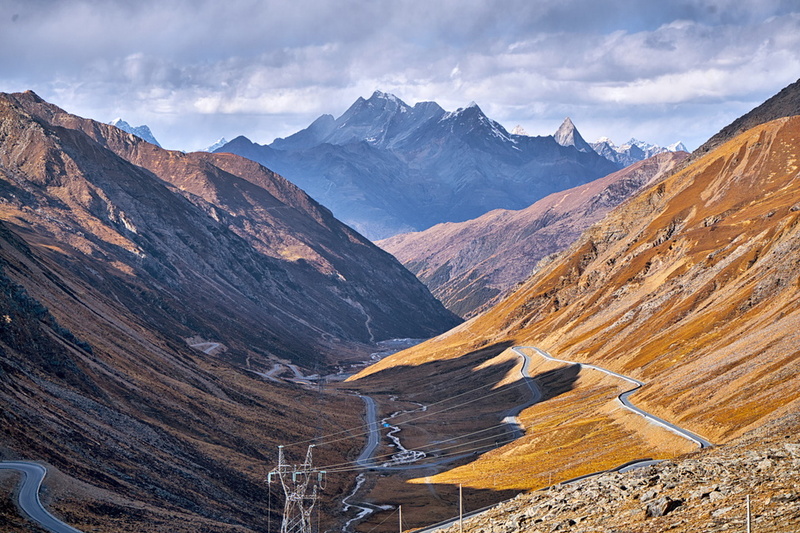 In the early morning, drive to Garze county via spectacular views of the mountain passes and provides great view of mountains peak and rivers, forests and grasslands. Yaks and sheep can be seen along the way. Garze is a small trading town where Tibetan people from surrounding areas such as Dege, Nyarong, Pelyul and Amdo come to buy goods. Visit Garze Monastery, which was originally built in 1642. It’s also worth to take the walk into the Tibetan street. Stay overnight at Ganze. In the early morning, drive to Pelyul via spectacular views of the mountain passes and provides great view of mountains peak and rivers, forests and grasslands. Yaks and sheep can be seen along the way. 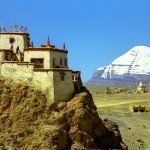 We will visit Yarchen Gar monastery on the way to Peyul, Yarchen Monastery is reported to have 10 000 monks and nuns, making it possibly the second largest monastery in the world. Labrang Gar is even larger, but is considered a monastic encampment rather than a monastery. Most of the inhabitants are nuns. Many monks and nuns came to Yarchen Gar when Labrang Gar was partly demolished in 2001. Meet the monks and nuns from in the monastery. Then continue driving to Palyul, which is one of the largest Nyinmapa monastery in once in Kham region. We will stay overnight in Pelyul. In the morning visit Pelyul monastery and then continue drive to Dzongsar monastery. Dzongsar Monastery is a Buddhist monastery in Derge County in the Garzê Tibetan Autonomous Prefecture of Sichuan, southeast of the town of Derge and east of Palpung Monastery. Historically it lay in the Kham region of Tibet. Visit Dzongsar monastery and authentic Tibetan villages in Dzongsar area. Stay overnight at local guesthouse. Today drive to Derge, once arrive in Derge, we’ll visit Derge Gonchen Monastery and Derge Parkhang Pringting Monastery, which is a Tibetan ancient cultural center. In it there are more than 320.000 printing plates. It has the most comprehensive collection of printed scriptures Tibetan Buddhism. Spend the night in Derge. 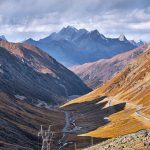 Today we’ll cross one of the highest passes along this route called Tro-La (4875m). Afterwards, we’ll pay a visit to the sacred glacial lake of Yilhun Lhatso (4110m); 13 Km West from town Near the road that goes to Garze county. A clear and glacial Lake.afterwards, continue drive to Dzogchen Monastery. The original Dzogchen Monastery in Tibet was established in 1684, by Pema Rigdzin, the 1st Dzogchen Rinpoche. 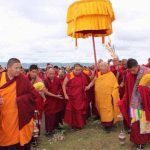 Dzogchen Monastery was renowned for its college, the Shri Singha Shedra, named after the Dzogchen master Shri Singha, who sat down on a rock in the Rudam Valley of Tibet and left a miraculous imprint. In the 19th century, on that very spot, Gyalse Shenpen Thaye, a celebrated scholar and disciple of the 4th Dzogchen Rinpoche, Migyur Namkhe Dorje, built the Shri Singha Shedra. The 4th Dzogchen Rinpoche was the master of Patrul Rinpoche, Ju Mipham and many other great masters. Stay overnight at Dzogchen monastery guesthouse. 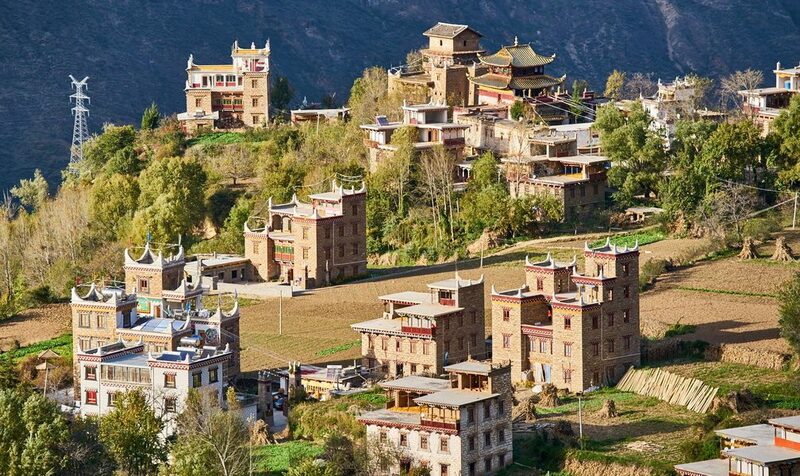 Lhagang (Tagong in Chinese) is a small town in the Tibetan prefecture of Garze. Its altitude is at 3700m. which is a very traditional Tibetan village surrounded by grassy rolling hills and you will discover excellent short hillside hikes here. Here the hills and valley are filled with romantic legend and gods. Lhagang Monastery is one of most important pilgrimage sites in Tibet and is surrounded by a perimeter wall of prayer wheels with over 100 stupas of various sizes. It is known for scenic grasslands and local Tibetan Buddhist culture. 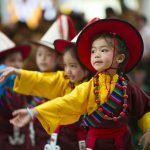 We will drive to Danba county, Danba is the home of Gyarong Tibetans, a Tibetan tribe slightly different from those of other Tibetan regions. Visit some of the rock-made houses scattered on the slopes of mountains. Gyarong Tibetans’ dress is unique, colorful embroidered headscarves. We will stay in Zhonglu Gyarong Tibetan village of Danba. It is very beautiful Tibetan village.